The most common use is with the Samsonite F’Lite 31” for many 20” bikes. 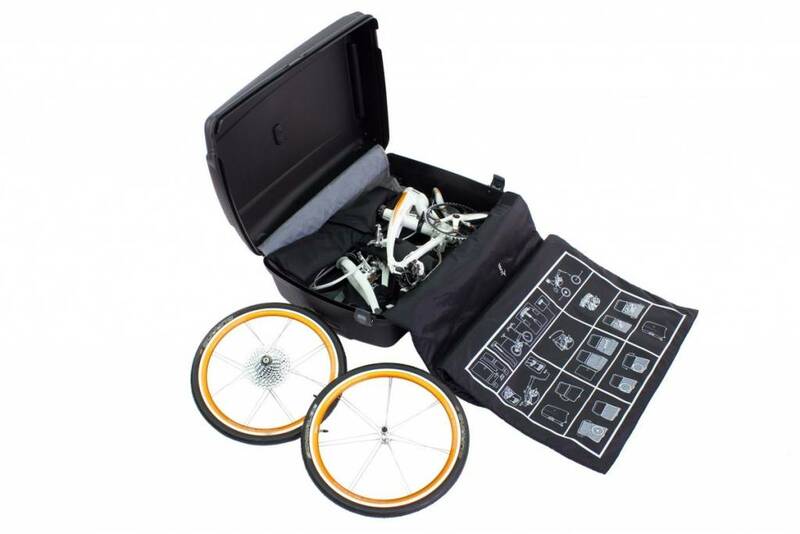 The 9-piece kit includes a large suitcase pad plus custom pads and protectors for your bike. Pads are made of durable 240D nylon for repeated use and bonded with 5 mm, dual-layer padding to protect your bike during transit. Easy instructions printed right on the suitcase pad show you how to fit the bike into your suitcase. Suitcase not included.